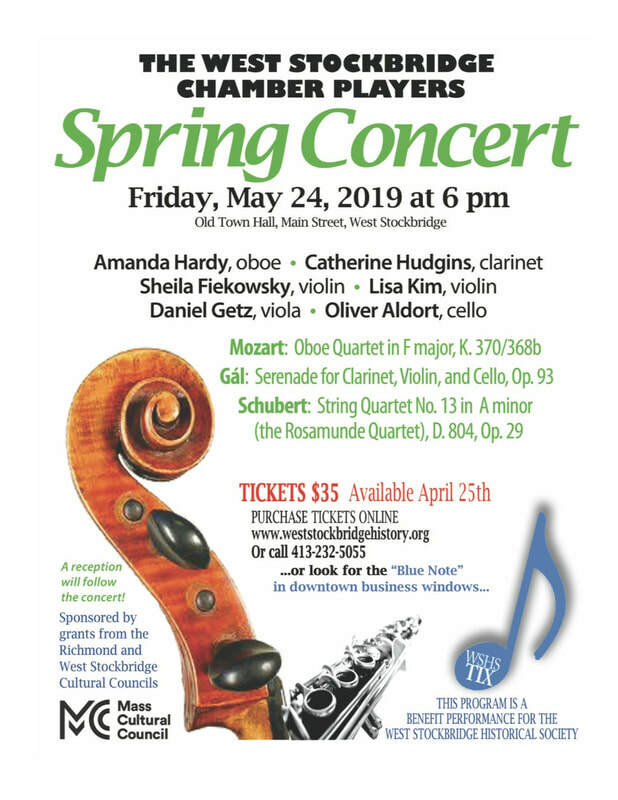 Tickets are on sale April 17th for members of the West Stockbridge Historical Society. Not yet a member? You can join up online now. Just click here or go to our Membership page. See flyer below for more information on the program. Tickets for non-members go on sale May 1st. Use the drop down menu to choose how many tickets you want. If you need more than four tickets just make a second purchase for the remaining tickets. You don't need to be a member of PayPal, just sign in as a guest.